The heat test is the most widely used method in industry for assessing heat stability of white wines and determining bentonite additions. This key method has now been optimised to be both shorter and more reproducible. 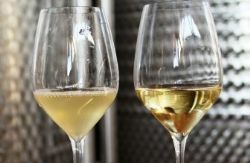 A selection of different white wine varieties were fined at the bentonite dose rates predicted by a 24-hour version of the heat test and the shorter 5-hour method (heating wine for 2 hours at 80°C in a water bath and cooling for 3 hours at 20°C) and stored at both 17°C and 28°C for 12 months. All wines were clear and bright when stored at 17°C. Most wines remained clear and bright after fining at the rate predicted by the heat test after storage at 28°C. These trials further suggested that a shorter heat test is suitable for predicting wine haze. Wineries interested in trialling the new shorter heat test are advised to conduct a side-by-side comparison of the results with their current heat test method.